Soup and sandwiches are a classic combination, but what about when soup becomes a sandwich? That’s what they’ve pulled off at popular Manhattan sandwich shop Untamed, which specializes in slow cooked braises ranging from brisket to broccoli rabe. About as comforting as comfort food can get, French onion soup brings together slow-cooked onions with beef broth and Gruyere. 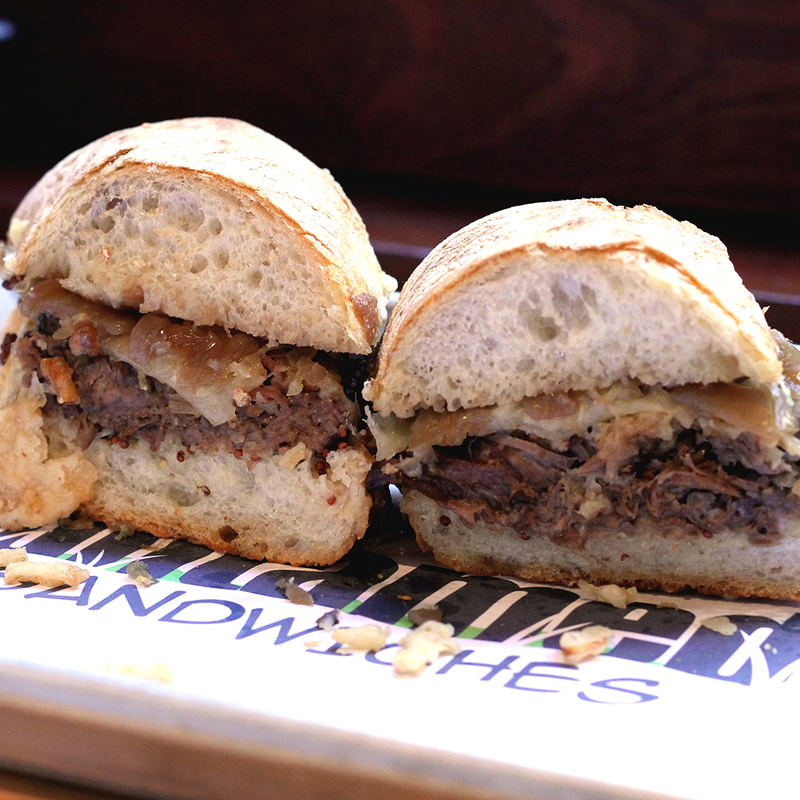 The brilliant French dip sandwich is a beefy creation served with a side of jus for dipping — basically a soup itself. How did it take us so long to smash the two together? The bread: A toasted crusty ciabatta roll holds this thing together. The filling: As befits a shop devoted to braised meats, there’s a beer-braised flatiron steak at the center of this guy, along with whole-grain mustard, frizzled onions, and those classic French onion soup elements: caramelized onions in those beefy juices, plus a thin layer of melted Gruyere.